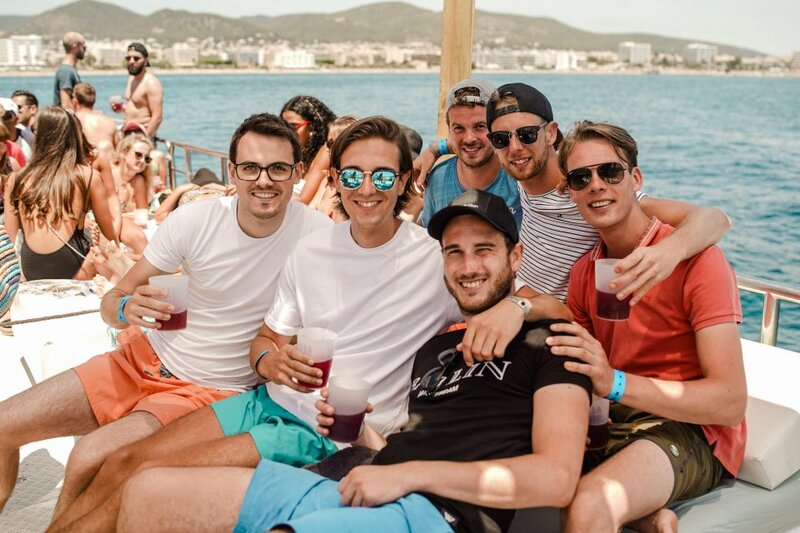 Boat parties have become an important pillar of the Ibiza clubbing scene and no Ibiza holiday is complete without having experienced at least one party out at sea. Over the past few years, the boat party market has risen considerably and each brand presents their own concept, music genre and route. Ibiza Spotlight has carefully chosen the best boat party companies sailing from both San Antonio and Playa d'en Bossa. Pick your favourite boat, book your ticket and enjoy a day out on the Med. Dancing to the biggest tunes in the sunshine, looking out to sea and the gorgeous Ibiza coastline with beautiful people everywhere around you – can a party get any better than this? Oh yes, in fact it can: some of the boats (mainly the San Antonio departures) sail around sunset so tick the "sunset on a boat" box as well. Most of the Ibiza boat party companies include at least one free drink aboard and the bar is always reasonably priced. Some boats even run a free bar policy. Be careful with those drinks, though! And the experience doesn't just start and end with the actual excursion on the boat; most brands include entry to one or more clubnights with each ticket, so make sure you read the detailed information well.